Thank you for considering TRE. If you choose to learn TRE on your own without the guidance and support of Certified TRE Provider, please visit the FAQ section to read about the importance of Self-Regulation. Deepen and track your TRE practice with the new TRE APP for Apple and Android! 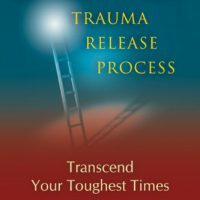 This original book on stress, anxiety, trauma and Post Traumatic Stress Disorder (PTSD) is written in easy to understand concepts and stories to help explain in practical and easy to understand concepts. Pictures demonstrating how to perform the exercises are included in the final chapter.